In regards of the two Awareness Day for Crosscause Charity, organized by 4 final year students from DkIT majoring in BA (Hons) Public Relation and Online Communication, an opportunity of radio interview was provided by Dundalk FM. This radio interview session was in the morning from 1030 – 11 am on the 27th of March with Edel. 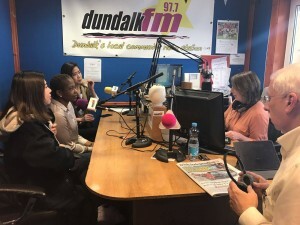 In this radio interview session, the girls had a chance to recap their first awareness day in DkIT on how it went as well to inform the audience about the second Awareness Day in Tesco. Edel also asked about the reason why they chose Crosscause as their client and the requirements for the subject. 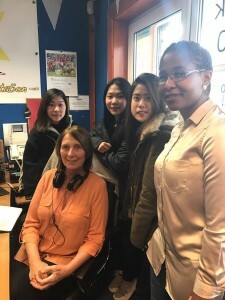 Edel also went and ask the girls if they were adapting well as they are all International Students from Malaysia and South Africa. It allows the audience to have an in-depth view on their background instead of everything about the charity and event. It was indeed a fresh experience for the girls as it was their virgin being on-air, they did flustered but still it wrapped up with a success.